Recently I read the first published book from one of my fellow Authonomy writer friends, Ellise C. Weaver (isn't that a good name? 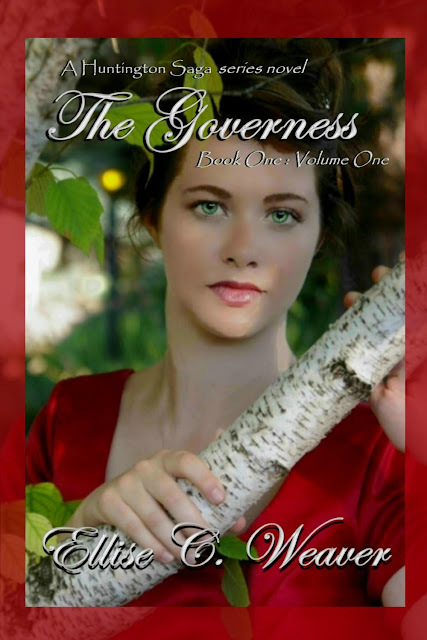 ), the first installment of her The Governess series. I enjoyed the read. There were things I did and did not like--as with any book--with this one, most notably (for the plus side) there is a simple, sweet tone to the story. Very endearing and enjoyable, and much of the historical tone was very believable. For the other part, there were certain things that happened, things the primary characters did, that I didn't always find believable. What I can only call "romantical ideas" (as my sisters and I would call it, when making fun of ourselves, etc.) was too much. It was overbearing, to the point of being a bit ridiculous, just the overactive fancies of a girl. Things serve a purpose, but only if they're completely believable. Along with the fighting in the story. In the beginning, it was believable--but when it kept happening, it just felt repetitious. There was not enough development--not enough change. Things that should have changed behavior, especially near the end, wasn't there which really irritated me. There were still surprises in the storyline that I enjoyed, and elements that were really good, it just these couple things that kept it, at least for me, from being great. It was still an enjoyable, sweet read. The ending was sudden, and I didn't feel like I had read an ending, but I knew it was series...I just didn't really know what to think. But it says "Book One, Volume One," so perhaps it wasn't meant to feel like an end, really. I don't know. Almost forgot--and this perhaps just proves the point--but the existence of the scheming "mystery person" didn't feel real. There wasn't enough to take seriously, a feeling of identity to this mysterious person, of their reality. Just a figment, something there to let us know that "hey, something else is going over here too!" but not enough that made me BELIEVE in the weight this character carried. This book was a curiosity--on one hand, it was so enjoyable--on the other--things annoyed me. I enjoyed it enough to be willing to read the next book, and also out of curiosity as to what might improve. Really a curiosity for me. You can find the book here, available for Kindle and in paperback. If you've read it, (or will) don't forget to share what you think! And Ellise C. Weaver can also be found on Goodreads! This books sounds worth reading. I'm a mystery person! I'll look forward to pay for it's kindle version. Summer reading list is ending! The second and third books are also available. I just haven't read them yet!